This entry was posted on July 5, 2017 by Nick. 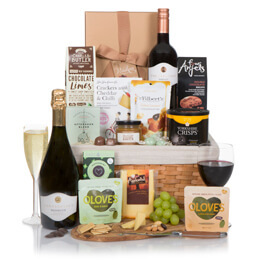 Hamper.com selects only the finest food and drink items when creating our range of unique gift hampers. As serious chocoholics, we love the chocolates created by UK-based Monty Bojangles, who create exciting and unique flavours. A recent creation, Monty Bojangles chocolates has only been on the market for a few years but has taken shoppers by storm. Their incredible range of truffles features unique flavours like butterscotch & sea salt and raspberry & popping candy. The Hamper.com team loves these unique chocolates and couldn’t wait to add them to our fantastic range of luxury chocolate hampers! Three of Monty Bojangles’ wonderful collection of truffles combines to create this gift that is perfect for any occasion! Discover the moreish Choccy Scoffy, the luxury Scrumple Nutty and the creamy Berry Bubbly truffles, each one a taste sensation! 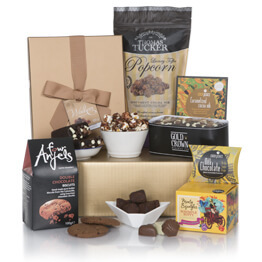 Presented in an elegant carton and hand-tied, receive free UK next day delivery on the Truffle Tower! The Chocolate Indulgence is the ideal present for the ultimate chocolate lover or a loved one that has a sweet tooth. 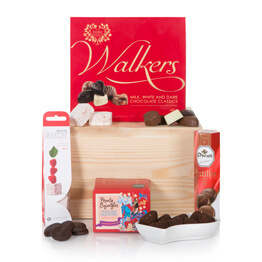 Presented in a beautiful gift box, this gift is filled with delicious chocolate treats, including Monty Bojangles Berry Bubbly raspberry cocoa dusted truffles. Perfect for sharing with friends or enjoying on your own, discover the Chocolate Indulgence. If you’re looking for that memorable gift for a special lady in your life, then look no further than the Ladies Delight hamper! 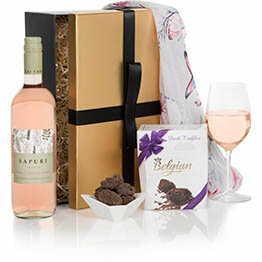 The Monty Bojangles chocolate truffles are accompanied by a bottle of Cortefresca Pinot Grigio wine, a fruity and dry rosé that is perfect for enjoying with friends. She’ll always remember this wonderful gift thanks to the floral print scarf that is also included in the Ladies Delight. 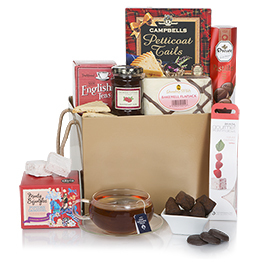 The Monty Bojangles Berry Bubbly truffles are just one of the many treats that feature in this fantastic gift hamper! 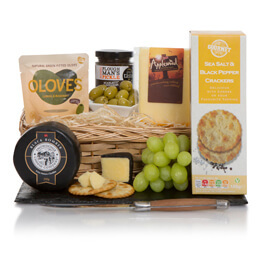 From paté and preserves to smoked cheddar cheese and tomato crumbles, this hamper is packed with incredible goodies! This gift also features a bottle of Di Maria Prosecco and a bottle of Finca Amalia Rioja Tinto red wine. 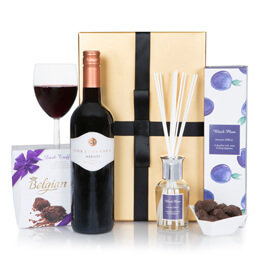 Whatever the occasion, they’ll adore the Classic Collection Hamper. Hamper.com is thrilled to offer free UK next day delivery on all luxury gift hampers. We’re always looking to send our gifts to new international destinations and you can find out more about our worldwide delivery service. Hamper.com will continue to work with Monty Bojangles and other fantastic suppliers to ensure our gifts are filled with the best possible treats!